A recent article in Quanta Magazine reports that simulations indicate some cloud species may not form, causing a positive feedback in global warming, giving rise to added global temperature rise. This entry was posted in Atmospheric Physics and tagged duststorm, global warming on March 5, 2019 by Mike. A recent paper by Wagner and Kleiss compares a Ceilometer with Total Sky Imager and Micropulse lidar looking at suitability of ceilometers for estimation of cloud amount. “Ceilometers will be a mainstay of the operational automated weather observation network for years to come. They are relatively inexpensive and require little ongoing maintenance, and are capable of 24-h observations. costs like mirror cleaning and reduced hours of operation limit this instrument’s applicability for deployment in unattended environments. This entry was posted in Atmospheric Physics, Cloud Ceilometer Applications on December 4, 2018 by Mike. As part of the EU “COST” programmes, the ToPROF group is working on operational ground based profiling with ceilometers, doppler lidars and microwave radiometers for improving weather forecasts. Work started in 2014, and is progressing towards a nominal completion date in 2020. Within the To PROF group, a Ceilometer Working group has been established. base height for NWP evaluation and weather monitoring. Agencies in charge of atmospheric surveillance for air traffic: occurrence, height and mass concentrations of ash layers; diagnostic and short-term forecast of fog and other low visibility events. Agencies in charge of Air Quality monitoring: boundary layer height; freetropospheric aerosol transport. Renewable energy industry: Photovoltaic ReN – cloud/fog fraction and evolution for nowcasting applications (combined with geostationary satellite); Concentrated solar power: aerosol vertical distribution; Wind ReN – wind profiles from Doppler Lidars. This entry was posted in Atmospheric Physics, Cloud Ceilometer Applications on October 30, 2017 by Mike. On 7 Sep 2015 an unprecedented huge dust plume approached the SE Mediterranean basin from the northeast- Syria region. According to the Israeli meteorological service it is the first time in 75 years of measurements, that a dust storm reaches Israel early September, lasts several days and dust concentrations reach values 100 times the normal (1700µg/m3). Dust storms are normally monitored in the east Mediterranean using satellites and surface PM data. Obviously, these cannot show the vertical evolution of the dust including penetration, sinking and cleaning since vertical profiles are not available. High-resolution, micro Lidar Ceilometer network is gradually established in Israel. A few instruments of this network were already operational during the dust storm. The most crucial vertical information, monitored by these Ceilometers with 10m resolution vertically, every 16s, is analyzed. The difference in the cloud-layers allow the investigation of the high altitude of 1000m dust penetration, its sinking into the complex structured 250-500m mixed layer and the gradual 3D cleaning. This finding contradicts the conventional understanding that cleaning is due to gradual descent and shows not only the vertical fluctuation during the entire event but also the vertical rise to 2000m at the end of the event. The vertical information showed that the actual event period duration was 7 days, compared to only 90 hours based on traditional detectors. Is it a new dust source in the E. Mediterranean-long and short term trends? This entry was posted in Cloud Ceilometer Applications on August 17, 2017 by Mike. The ICCP holds a conference every 4 years. The last conference was at Manchester University in 2016, The next is due in 2020. Typical subjects in calls for papers are theoretical, observational and numerical modelling studies of cloud and precipitation physics, cloud chemistry and cloud dynamics. This entry was posted in Atmospheric Physics on August 17, 2017 by Mike. Here is the Home page for the new Cloud Atlas. 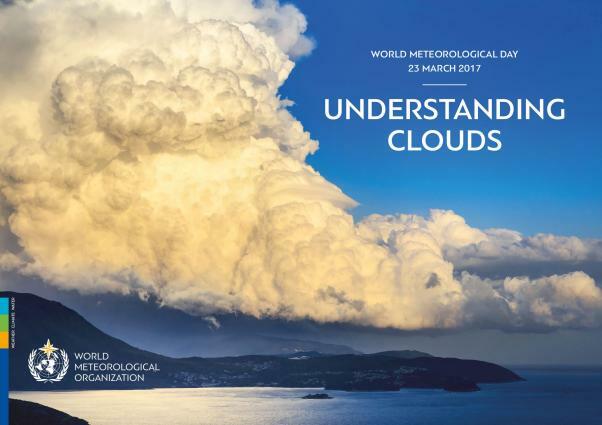 This entry was posted in Atmospheric Physics and tagged Ceilometer on March 26, 2017 by Mike.